With our newest version of Virtuoso Print Manager, 6.5, you will have just one login to give you access to your complete integrated solution: VPM, CreativeStudio and all our online resources. The ISA International Sign Expo® is the only place to find everything you need to be successful in the sign, graphics, print and visual communications industry and Sawgrass is excited to be participating. We’ll be showcasing a new, ground-breaking solution for contemporary and long-lasting outdoor signs developed with our global partner, ChromaLuxe. FESPA 2019 in Munich is the place to see the latest innovations and product launches in digital printing and Sawgrass is excited to be participating from Tuesday 14th to Friday 17th May. We’ll be showcasing a new, ground-breaking solution for contemporary and long-lasting outdoor signs developed with our global partner, ChromaLuxe. If you recently joined our CreativePass+ membership, you may have noticed that we are uploading content more frequently. Look for updates to happen throughout the month instead of once a month. In March we added premium content to Sports, Pets, Spring, Easter, and Mother’s Day. One of the most common questions we hear from product decorators is, “How much should I charge for this product?” On the surface, this may seem like a simple question, but in reality, product pricing can be complex. How much money are you really spending on your sublimation business? Accurate accounting for all expenses – even ones you don’t think about as business expenses, such as gas or mileage – is critical in building both pricing and profit strategies. All money spent on the running of your business needs to be factored into your pricing model, to ensure profitability. We get lots of calls and questions about how to manage content in CreativeStudio and get the most efficient printing out of Virtuoso Print Manager. Here are some of the top questions we hear from customers and answers to help make your experience using CreativeStudio easier. When many sublimators look at the cost of making their products, they only take into account how much they spend on ink, paper, substrate and shipping. This approach impacts their businesses negatively, as overhead and labor are not factored into the equation – and this is where the bulk of the real cost of production lies. Did you know that JDS Industries, one of Sawgrass’ Platinum Resellers, has a dedicated Sublimation Support Team made up of trained graphic designers that have experience in many different aspects of the printing and personalization products world? For best results over the life of your printer, keep your printer powered on at all times. The reason for this is that your printer will run daily maintenance cycles that keep the ink lines fresh and the print head clean. As 2018 quickly draws to a close, we at Sawgrass want to wish you very happy holidays and to thank you for your business and partnership. Together, we are growing demand for sublimation worldwide, and we are looking forward to being part of your continued success in 2019. Holidays and special events are arguably two of the most popular reasons people buy sublimated products. So popular that, based on customer feedback about the need for additional new graphics, we have developed a new line of premium designs in CreativeStudio exclusively for these applications. Even though your inbox may be overflowing with orders, the clock is ticking on some important dates for your business. New Year’s Eve is the last day you can take advantage of some business tax breaks in the US. Here are a few things to think about while you’re furiously printing and pressing during these last few weeks of the year. Once you set up your Virtuoso HD Product Decorating System, you need to install Virtuoso Print Manager (VPM) on your computer. CreativeStudio™ Premium Content Packs are Here! CreativeStudio™ Premium Packs are now available for purchase through SawgrassInk.com. You may know CreativeStudio™ as the Sawgrass online design software, developed specifically for sublimation production. But did you also know that CreativeStudio™ can help you grow your business? This past August, Condé Systems had a unique opportunity to contribute to the expansion of educational curriculum for various Alabama school systems. How to target customers in just about any market and show them how your products are just what they’re looking for. Did you know that using a fully integrated sublimation system can help your business grow? Here are a few ways that opting for the highest quality sublimation products deliver exponential returns on investment, resulting in business growth. When it comes to making a business investment, the final choice is much more complex than it was a decade ago. Now is the time for a Q4 checkup on your printer and inks. Here are some tune-up tips that we recommend. Though the winter holidays are still several months away, now is the time to be thinking about your sublimation business plans for this peak production season. f you plan to be in the UK from 18 to 20 September, The Print Show in Birmingham is a great event to attend and discover what Sawgrass sublimation is all about. The product decoration business is an exciting one. In fact, many product decorators start out as hobbyists who fall in love with the colors, images and all the amazing things you can make with sublimation. In response to customer requests, Sawgrass is pleased to announce that in the coming weeks, we will offer monthly subscriptions of premium content packs for use with CreativeStudio™. Headquartered in St. Louis, Mo., Coastal prides itself on having one of the most robust and expansive product selections in the personalization industry. Understanding how color works in a digital print environment is essential to success in sublimation. Though color science can be complex, here are some basic concepts that will help you achieve great color output and repeat business. Printing primary charts is just as important as running nozzle checks for ensuring the best output. What is it that makes a fully integrated system the best choice when shopping for sublimation equipment? Condé Systems is one of the premier sources for printers, substrates and consumables serving the graphic art, photography, prepress and desktop publishing industries. Sawgrass showcased the Virtuoso HD Product Decorating System and products from two leading substrate manufacturers who have introduced innovative new coating formulations that provide resistance to UV light along with protections against scratching, graffiti and harsh weather conditions. To further improve the Sawgrass customer experience, our technical support team can now be reached via one email address for all platforms and regions. Did you know that Virtuoso Print Manager offers different color modes, found in the “Color” tab. Here is a look at what each setting does, so you can choose what’s best for your prints. With new types of sublimation panels on the market, product decorators now have the ability to make headway into markets where outdoor imaging is in demand. As we put the finishing touches on the new Complete Guide to Sublimation Success, we wanted to give you a taste of some of the content you’ll find in this free download, available at SawgrassInk.com later this month. Here are some of the tips and tricks you’ll find helpful as you explore how to sublimate. Hensley is quickly making back the money she invested in her Sawgrass solution and says that the expense of using high-quality ink and sublimation printers is well worth it compared to the time and production waste involved with using aftermarket solutions. Sawgrass’ CreativeStudio team added a variety of new graphics and templates to the library in March! Why do people love customized products so much? And what are the technology factors that are driving the customization revolution? Delve into the human mind and discover what’s driving people’s passion for personalized products, and how you can capitalize on this growing market. Color palettes are incredibly valuable in sublimation design and printing. Cohen says that working with Sawgrass products were the best choice for her business because she doesn’t sublimate every day. She feels the extra investment she made in Sawgrass printers and inks was well worth it for her. Not all sublimation ink is created equal, just as not all printers and software are designed to work with sublimation ink. We have heard all kinds of dye sublimation issues from product decorators over the years, from reds and blacks not printing correctly to nozzles clogging and print heads breaking. The source of these issues can be traced back to the quality of ink used. Here is a look at why the quality of the ink is crucial to your production. Sawgrass is developing a completely revised and revamped sublimation success guide, with the latest information, innovation and advancements everyone who works with sublimation should know about. This will be the ultimate guide for those who are thinking about getting in to sublimation or have just taken the initial steps into the digital world of product decoration. Sawgrass upgraded CreativeStudio with new features such as adding subcategories and introducing notations for all new content. These new features will help users navigate our CreativeStudio libraries with ease. Also included in the upgrade are more design tools and improvements to the user administration management interface. Did you know that our Virtuoso Print Manager has the capability to automatically print? The Product Development Team at Sawgrass has updated Virtuoso Printer Manager with new features and user interface changes influenced by end-users and dealers and designed to have a positive impact on business and work flow efficiency. The new look, feel and functionality will help both new and existing users grow their sublimation skills and business. One of our goals in 2018 is to provide exceptional support to all customers. We listened to our customer feedback from a recent survey and decided it was time to make a change. Whether you’re new to sublimation design or a seasoned pro, CreativeStudio has plenty to offer you and your business. We recently surveyed our customers to find out what you wanted from CreativeStudio and have adjusted our 2018 plans to include many of your requests including more content, new features and more powerful tools. If you’re a VJ 628 user, the first thing you want to do every day is open Value-Jet Status Monitor to check your cartridge and waste ink levels, as well as see if there are any alerts that need to be addressed. If you do this, you may not know that what you see on the screen is a snapshot of the levels that will remain the same, unless you select Printer Info (or close Value-Jet Status Monitor and reopen). The price of a product is really what someone will pay for it. When a product is trendy, demand goes up and price follows. The relationship between demand and price is especially true in the product decoration business, where perceived value is the main driver for your price point. As you’re making plans for growing your business in 2018, here are some trends you may want to explore. There are a lot of changes coming to the sublimation world in 2018, and they are all for the betterment of your business. The first is that Ricoh will no longer be producing the SG3110DN or SG7100DN printers. On the surface, the Ricoh SG 3110DN and the Virtuoso SG400 look almost identical and, in reality, they do share some common traits. Both are four-color printers, have a maximum media size of 8.5” x 14” and support Sawgrass sublimation inks. That is where the similarities end. Growing a business doesn’t happen by luck - it happens through strategy. New Year’s Day is a time when many people make personal resolutions but why not make it a time when you create a plant to grow your business during the next 12 months. The end of the year is also the time to revisit the original vision you had when you started your business and how to turn that vision into a reality. The end of the year usually means an increase in customer orders and revenue for your business. The end of the year is also a time for planning to be successful next year and taking advantage of the many year end deals that can drive that success moving forward. Here’s a look at some things to consider before Dec. 31. Follow these steps to avoid common issues during registration. Sawgrass' CreativeStudio team added 600 new graphics, templates, and fonts to the library this November! UK express print service Fun Printz is elevating its print production and expanding into new markets with Virtuoso 25" / 630 mm 8 Color HD Product Decorating System. Sawgrass Technologies, Inc. and Technotape International debuted a new production solution designed specifically for 3D sublimation at last month’s SGIA Expo 2017 in New Orleans. This completely optimized, turnkey solution for product decorators pairs Sawgrass’s Virtuoso HD Product Decorating Systems and new SubliJet-3D inks with Technotape’s sublimation ovens, 3D film and substrates. The holiday season is upon us, even though it’s only the end of October. Most of us in the product decorating industry are coming up with sales and marketing plans to sell, sell, sell during the next two months. However, you should also get your printer up to the task of higher-than-usual production. Here are some tips to help ensure your printer is in good shape for the holiday production push. Sawgrass’ CreativeStudio team added 500 new graphics, templates, and fonts to the library this October! The Christmas decorating market is a multi-billion dollar industry! Millions of homes all in the world are decorated for Christmas, each with its own unique style and sense of tradition. Full-color sublimated ornaments, coasters, frames and other home décor products perfectly meet the needs of people looking for unique and personal items to add to their homes or to give as gifts during the holidays. Here is a look at some ways you can cash in on this popular buying season. Always remember to check the expiration date on your inks to avoid printing issues. The “Use By” date can be found on the individual ink box as well as on each ink cartridge. If your inks have expired, you will need to flush the expired inks and replace with new ink cartridges. For assistance on flushing the inks, you can use the below links. Find out how upgrading from PowerDriver to Virtuoso Print Manager 5.2 will help you maximize your Virtuoso HD Product Decorating Solution, make your production process more efficient and save you valuable time and money. 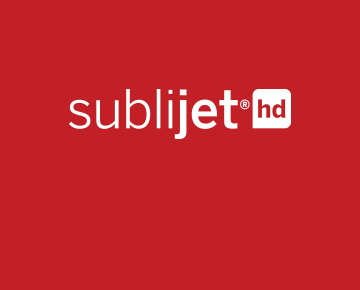 The SubliJet-HD FLEX 8-color ink set for the Sawgrass VJ 628 printer has been wowing customers worldwide with its colors, diversity-of-use and reliability for the past year. Now, the Specialty Graphic Imaging Association has honored SubliJet-HD FLEX with its highest award: 2017 Product of the Year for Digital Ink – Textile. ​Six years ago, creative personalized smartphone cases were not that easy to find in Germany. Business partners Michael Nowak, Regina Bauer and Christian Doblinger recognized this as a prime opportunity to launch something both unique and profitable, and launched swook!, a high-quality online product personalization service. Sawgrass’ CreativeStudio team added more than 3,500 new graphics, templates, and fonts to the library this summer! Did you know that the Sawgrass website has helpful videos and maintenance tips for keeping your VJ 628 printer in tip-top shape? It’s that time of year again! Early fall is just the right time to start getting ready for the holiday season. Gift and decorative product sales during November and December are at an all-year high for most businesses that offer sublimated items. Demand from both consumer/retail and corporate markets will start increasing soon. The question is, are you ready to meet that demand and get a piece of the action for your business? Are You Ready for a New Year of Sublimation Success? There’s only a few months left in 2016, and chances are that the last thing on your mind is taxes. After all, April 15 seems ages away (though it’s only about six months), and you’re focusing more on building holiday sales and making your production as efficient as possible. Now is a good time to be thinking about taxes, however, because the end of the year is only a few short weeks away, and critical decisions need to be made before Dec. 31. Tech Tip: Can I Switch Between SubliJet and ChromaBlast Inks in the Same Printer? Many customers inquire if it is possible to switch between SubliJet and ChromaBlast inks. Click to find out if this is possible and where to go for help. Sawgrass’ CreativeStudio team added more than 700 new graphics and templates to the library in August and September! Check them out! According to US and Canadian government data, over 75 million North Americans between the ages of 5 and 25 are students. They attend over 80,000 schools, all of which have extra-curricular activities, academic awards and faculty and staff deserving of recognition and appreciation. This means that you, as a digital decorator, have a very large market with needs for personalized and branded products right in your own backyard, and if you have not yet tapped it, you should be. Leveraging existing relationships within the schools market and adding sublimation technology to their business, Dan Rodgers Sports Zone is keeping up with big-box store competition. Sawgrass’ CreativeStudio team added nearly 800 new graphics and templates to the library in June/July! Check out what's new! Adobe’s release of Photoshop version 2015.5 for the MacOS (not Windows) has introduced issues with color management. Adobe is aware of the problem and is actively working on a resolution. In the meantime, customers can downgrade to the previous version. Click for instructions on how to downgrade or contact technical support. Have you ever noticed that the color of an image on your computer screen never quite matches what comes out of the printer? Or the colors on a sublimated substrate may not match exactly with the colors your customer is expecting? These are all common issues that we in the sublimation industry have faced at one time or another. This article delves into some of the basics every sublimator should know to produce beautiful images more efficiently. At Sawgrass, we talk a lot about color management, especially during June, which is Digital Color Management Month. Most of the time, we discuss things like color theory, software, profiles, tools and techniques for helping you recreate your customers’ colors with the greatest accuracy and the least amount of waste. One approach we have yet to touch on is ink choice. Sawgrass’s CreativeStudio team added nearly 500 new graphics and templates to the library in May! Check out what's new! No matter which color management solution you choose to work with, once critical step is defining the correct color space or mode within your graphic design software. These programs enable you to use different color profiles. When working with sublimation, you need to activate a specific RGB profile in order to produce accurate colors. In the customization and personalization business, color and efficiency are everything. When your colors are off, efficiency is drastically reduced from the time and materials you invest in testing each color change. Learn why you should know how to manage your colors and some easy steps to get you started. The photo marketplace is rather complex. Thanks to digital cameras being so accessible nowadays, there is so much demand for products containing photo images. Photo studios and professional photographers, too, often sell their customers digital images for them to turn into the kinds of prints they want. This new landscape has given way to a whole new world of applications for photo-centric products, ranging from personal gifts and keepsakes to fine art pieces and architectural elements. Mike Bryand has found the secret to success in Wilmington, NC, with both a fresh take on local photography and sublimation. He’s been a photographer for most of his life, but had only gotten into the business side of his art about 20 years ago. He started shooting pictures at car races, but found that his own unique take on pictures of local landmarks, beaches, piers and lifestyles were what really sells in this coastal region. For more than 40 years, Belgium’s Labo J-J Micheli has handled a wide range of photographic and fine art reproduction work - from printing 1,000 photos to copying artwork onto arches paper. Already a leader in traditional and digital photographic reproduction, the photo lab was looking for a way to stand out and distinguish itself as more than just provider of high quality services. Have a question, challenge or issue with your sublimation system? The Get Support section of the SawgrassInk.com website should be your first stop for help. Going to this page will bring you to the Product Support Wizard. Here, simply make the choices specific to your system from each of the drop-down options. Sawgrass’s CreativeStudio team added more than 500 new graphics and templates to the library in April! Check out what's new! When it comes to making money with sublimation, a key factor is perceived value on the part of the customer. The more they think a product is worth, the more willing they are to pay a higher price for it - provided the item is appealing to them. Coated metal fits this scenario quite well, as its durable, has fantastic imaging qualities and comes in many forms - from sheet stock to pre-manufactured products, such as bag tags, name badges, license plates, cell phone covers, jewelry and, of course, photo panels. Shawn Barney is a professional youth sports photographer based in Westfield, Indiana, who has been innovating in his market for the past few years. After being unhappy with the fulfillment services of photo product vendors he worked with, Barney recently decided to create his own sports gear, t-shirts and other photo-decorated products for his existing clients with the Virtuoso Desktop HD Product Decorating System. Sawgrass’s CreativeStudio team added nearly 550 new graphics and templates to the library in March. Check out what's new! Tech Tip: Which Browser are You Using? If you’ve been experiencing issues with CreativeStudio, product registration or downloading software, make sure that you’re using the latest version of a compatible web browser and that your internet connection is fast enough. Interior signage makers have a tremendous number of potential clients they can target to build and grow their own businesses. After all, every organization - from cafes and offices to schools, hospitals, government agencies, nonprofits and beyond - has a need for interior signage. As a product decorator with a sublimation system, you are uniquely positioned to take advantage of this niche market. When My Imprint Studios launched in 2010, its focus was primarily on printing t-shirts. Co-owner Michael Bodine said that the company started as a side business with a very specific focus on screen printing and vinyl decoration. Within the first six months, however, his team quickly learned that there was a whole world of money-making possibility available by adding sublimation technology to their shop. Sawgrass’s CreativeStudio team added nearly 400 new graphics and templates to the library in February. Check out what's new! Your sublimation printer uses tiny nozzles to disperse ink from the cartridges to the transfer paper you’re printing on. Sometimes these openings become clogged, which can result in poor image quality. Printing a nozzle check pattern can help determine if all of the nozzles in the print head are allowing ink to be printed on the paper. It’s been nearly a year since Sawgrass debuted CreativeStudio as part of the Virtuoso HD Product Decorating system. In this short time, there is little doubt that this suite of design and color management software has made a huge impact in the world of sublimation. Included as part of our fully integrated Virtuoso systems, CreativeStudio has greatly simplified the process of creating, processing and managing images specifically for sublimation production. In an industry where quality graphics and design are everything, this is a huge step forward for both new and existing product decorators. Check out what Sawgrass’s CreativeStudio team added to the library in January, as well as this month's featured video! If you own a Ricoh, Virtuoso or Sawgrass VJ 628 printer, it’s important to keep your printer powered on. This allows automatic maintenance utilities to run while your printer isn’t in use, and keeps your nozzles in good working order. This is especially important if you are not printing on a regular basis. December is typically one of the busiest months of the year for most decorators, which makes it difficult to focus on anything but production. However, it’s also a month where a lot of sublimation suppliers are offering great deals on substrates and supplies. Keeping up with the latest trends is an important business task. It always pays to be on the leading edge of what's happening the world of sublimation rather than lagging behind and missing out on opportunities for sales. Here are some trends that you will want to cash in on in 2015. It’s November again, and chances are that the last thing on your mind is taxes. After all, April 15th is a long way off and holiday production season is starting to pick up speed right now. Keeping taxes on the back burner can be a serious business mistake, as the last day for making strategic tax decisions for 2014 is only a few weeks away. December 31 rolls around pretty quickly, and considering that its New Year’s Eve, any decisions you make then will likely be too late. This month, we’re taking a look at decorating using transfers. There is so much to say on this topic, that we have broken up the discussion into two articles. This first one explores the world of digital transfer applications, and the other delves into adhesive transfers. Digital transfer involves printing onto a sheet of transfer paper that is a temporary home for the ink. Adhesive transfers are next in our discussion of decoration using heat transfer processes. Also called a surface transfer, this process involves physical materials that are permanently applied using adhesives. An image is printed onto transfer paper, which is then applied to the surface of a garment using a heat press. The heat and pressure activate the adhesive on the back of the paper, causing it to stick. Think of it as welding the transfer to the product.